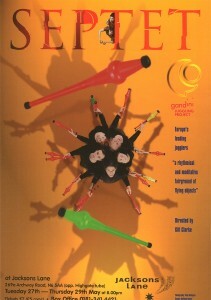 Septet was Made in 1997 – a 6 person show returning to more virtuosic juggling. 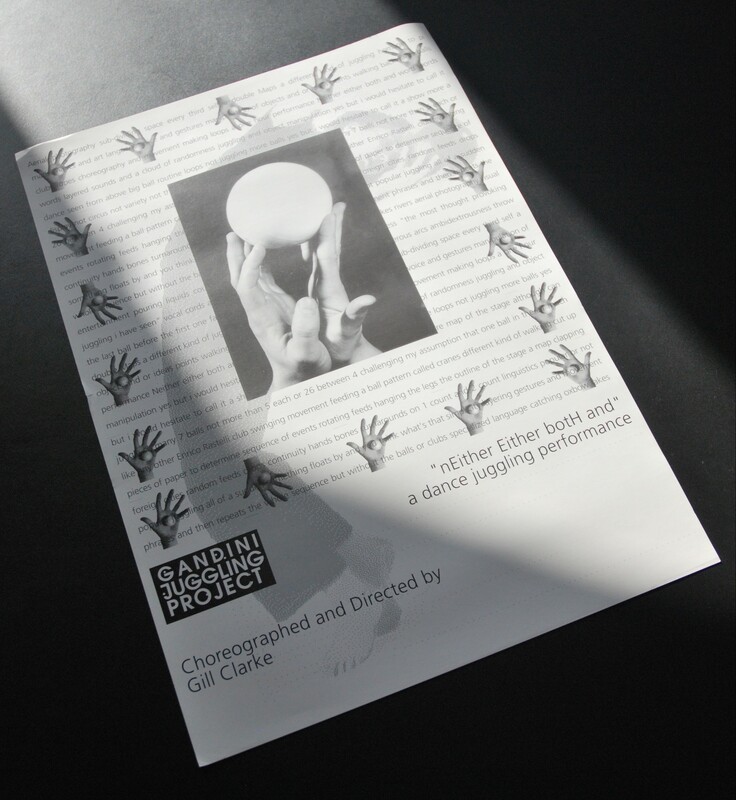 Performed by Sean Gandini, Kati Yla-hokkala, Ben Richter, Ben Craft, Lindsey Butcher and Alix Wilding. 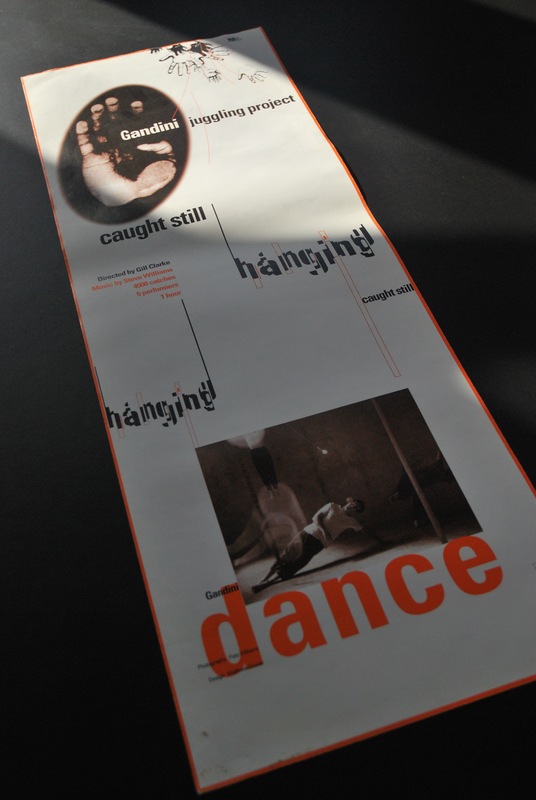 The posters are all originals and not reprints. 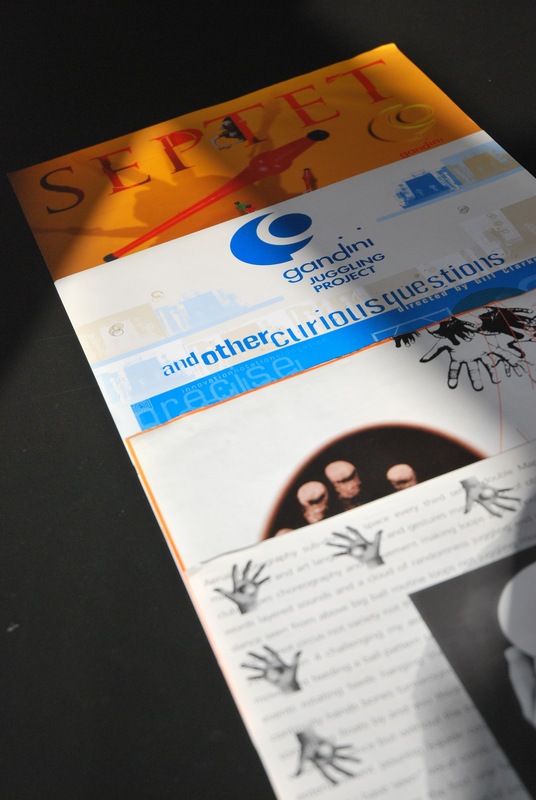 While they have been kept in great condition, corners may have very small defects from storage and transportation over the years. 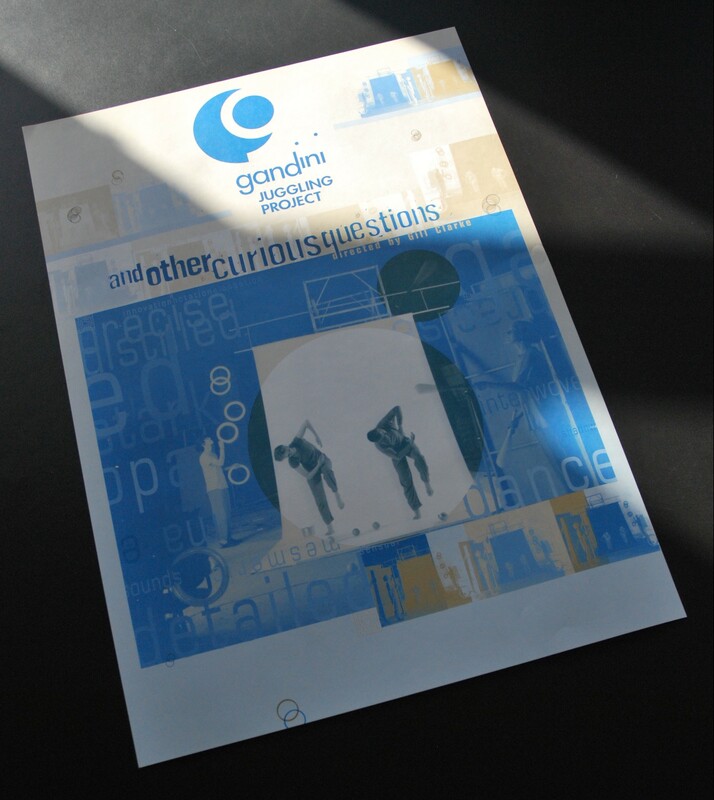 Posters will be sent in tubes. 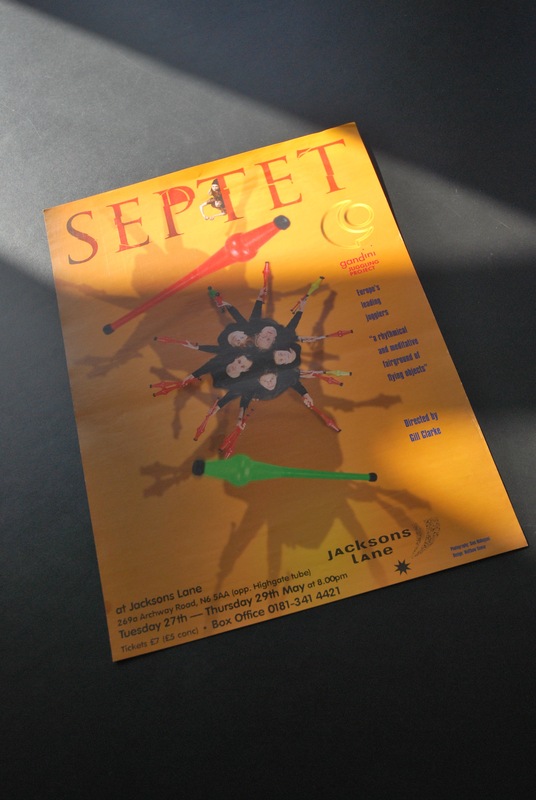 Be the first to review ““Septet” Poster” Click here to cancel reply.